In this review round up of the top gaming RAM for 2019, we check out the top memory kits from all the leading manufactures to help you quickly and easily find the best DDR4 gaming RAM kits available on the market today. No matter your budget we have everything you need to make an informed purchase below, give it a read BEFORE you buy! This buyers guide is constantly updated to provide you with up to date with the current DDR4 RAM kits specifically for gaming. With the evolution of gaming, consoles have begun to rival computers, but still just can't compete toe to toe. They haven’t managed to overtake PC gaming because although astonishing leaps are made with each new release, PCs have an edge with their built-in upgrade capabilities. With a console, you'll need to wait for each new release and software update. With a computer, new and improved components are put out much faster, enabling the user with the ability to upgrade their machine in a reasonably easy manner. Here at ICONTROLPAD, we review the latest gaming hardware to help the user make informed decisions and have the best gaming experience possible. We have reviewed numerous memory kits from the top manufactures, and have narrowed it down to following TOP 5 best DDR4 RAM Kits for gaming. We assessed the products based on categories like speed, price and looks. Our top five spots are claimed by Corsair's DOMINATOR Platinum Series 32GB, the HyperX FURY Black 16GB kit, G. Skill’s Ripjaws V Series 32 GB kit, The Trident z RGB Series 16 GB kit also by G. Skill, and Corsair’s Vengeance LPX 16GB. The Corsair DOMINATOR Platinum Series 32GB uses the best of today's available integrated circuits to provide highly overclockable and personalized memory via upgradeable light bars, and a Dominator Airflow LED fan. For the inevitable question, yes, the fan does come with this kit. It is compatibility tested and optimized to work with the XMP 2.0 standard supported by Intel 100 Series-based motherboards. It also offers things like greater bandwidth, higher frequencies, and lower power consumption. We found being able to monitor your temperature for optimal stability and performance with the Corsair Link Digital connector a neat feature, too. Also, when powered up, it automatically adjusts to the fastest safe speed for your Dominator Platinum kit. Corsair’s patented technology allows the Dominator to run at a colder temperature by pulling heat away from the modules and only drawing 1.35 volts for operating power. It does require some space, measuring 0.28" x 5.32" x 2.17", but that's to be expected with the highest stock performance at 3,333MHz. 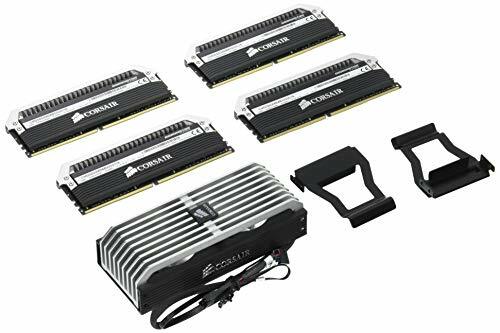 Corsair's Dominator Platinum is our choice for best ram for gaming because of its compatibility and build quality. That being said, it also got our most expensive vote at $566. However, Corsair's product history speaks for itself. Everyone in the gaming world knows their name, and they are always highly regarded. The Dominator series first appeared in 2012 and is still running strong. Purchasers across the board tend to give this kit a five-star rating, with minimal four stars, and zero people providing anything below that. Most users summarized their experiences in few words, describing it as awesome or rock solid. With Corsair's name, nothing else really needs to be said. For the budget conscious gamer, the HyperX FURY Black 16GB is a perfect match. Developed by one of the earliest manufacturers in memory, Kingston presents an option that is not the lowest priced, but one that keeps the price in mind without sacrificing quality. It is available in the most moderate DDR4 speed of 2133 megahertz, but higher speeds are not always a make or break for improved PC gaming. This product is very easy to overclock without risking stability or heat issues. The low power consumption (1.2 volts) it requires from your computer also mean a quieter and cooler PC. With some tweaking for an overclock that is less conservative, speeds of 3200 MHz were achieved. Its slim design and value allow us to bypass the lack of color options for this model. It’s also the first product line to offer automatic overclocking up to the highest level, similar to a plug and play kind of feature. It doesn't take up much space either, measuring 1.23" x 5.25" x 0.13". It is the smallest kit we tested. Buyers find this kit to be the most reasonably priced and a reliable middle of the road RAM. It is also incredibly easy to install, again hitting that plug and play aspect. 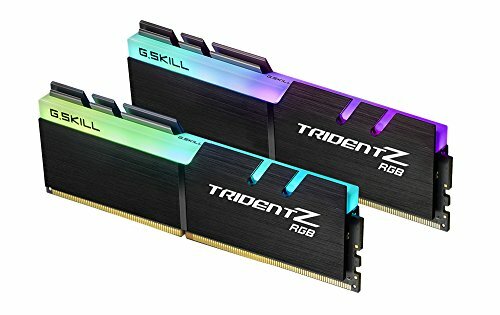 This kit was one of our favorites as a simple and easy way to provide a necessary RAM upgrade. 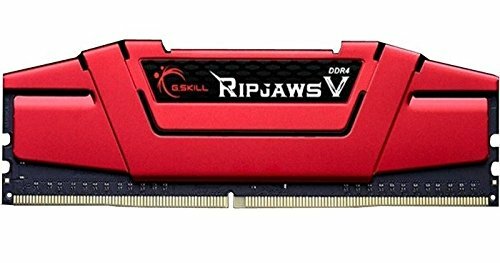 The G.SKILL Ripjaws V Series 32GB kit is a 288 pin model with 32 GB worth of memory storage capacity. As the newest dual channel DDR4 and available in five color options, this device is the latest addition to the Ripjaws family. It is the second generation of the company’s DDR4 memory, and it is clear that they took heed of the criticism and feedback from their clientele. The new series is more faster and more affordable. We regard it as a nearly perfect choice for a simple memory upgrade or as a component in your new build for its compatibility with the major brands of motherboards. Its five color options include Radiant Silver, Blazing Red, Gunmetal Gray, Steel Blue, and Classic Black. It has the traditional height of 42 mm to fit under oversized CPU coolers. It is a high capacity DDR4 choice that is affordable. The G.SKILL TridentZ RGB Series 16GB features the noteworthy Trident Z heatspreader combined with bold RGB LED lights housed in a completely uncovered light bar. If you're searching for visual fulfillment, the Trident Z is the RAM to go with. It combines uncompromising performance with its lighting supporting a full rainbow spectrum in color. Even better, it is built of the highest quality components. A verified purchaser states that it has "Outstanding performance and can be overclocked without a fuss...upon installing, this DDR4 feels good in the hands and is not made of cheap components like what you would see in other brands." The design of the Vengeance LPX pulls heat from the integrated circuits directly into your computer’s cooling path, allowing you to push higher limits. As expected with Corsair's performance record, each of their integrated circuits are tested individually. In addition, the Corsair Vengeance LPX comes in numerous colors to match your components, motherboard, or just your style. One additional benefit of this kit is its nod to times when internal space is at a premium. The small size provides valuable power for smaller cases. 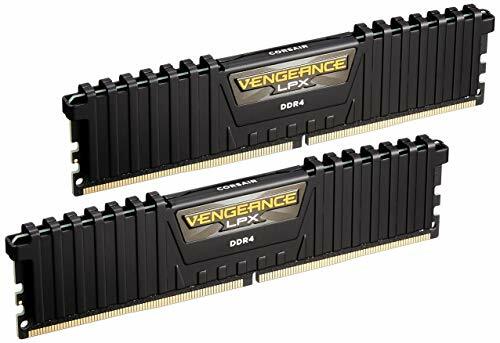 When the release of the first Micro ATX or Mini-ITX motherboards for DDR4 comes about, the Vengeance LPX will be primed and ready. Based on all this information, here’s what we’ve surmised about the above options for the best RAM for gaming. Regarding price, we found the Corsair Vengeance to be lowest in cost, followed by the Hyper X FURY, G. Skill’s Trident Z, G. Skill’s newest Ripjaws addition, and of course, Corsair’s Dominator Platinum Series. If you’re a gamer concerned about the available space in your computer’s case, you’ll want to look at the Hyper X FURY initially and then the Dominator Platinum Series, work your way past both of the G. Skills and end back up with a Corsair Vengeance. If color matching is something that matters to you, any of the above options except for the Hyper X Fury will suffice. Volts were comparable across the board too. Both the Trident Z and the Hyper X Fury will sip on 1.2V, while the Ripjaws V and both Corsair options will consume a tad more, at 1.35V. Without considering the overclocking options (as that is individual to each user, and if he or she wants to pursue overclocking beyond the factory settings), Corsair’s Dominator Platinum is by far the best choice. Most gamers would agree that this measurement is what will most affect your gaming experience. Corsair’s Vengeance and G. Skill’s Ripjaws will run just a little lower at 3000MHz, followed by G. Skill’s Trident Z at 2400 MHz, and last but not least the Hyper X Fury, at 2133MHz. All of these options, however, are considered extraordinary. Many gamers will report their current builds running on average 1600MHz, so even the Fury comes out on top here. As you’ve probably noted, each of these kits is either a 16GB or 32GB set. While many claim the MHz as the most important factor, we disagree. It is certainly important, but none of these components can work alone. Truly, capacity should be prioritized over clock speed. Clock speeds typically affect things like video editing, not gaming. However, many games today run on servers, and that is affected by the clock speed, so you can’t disregard it entirely. For something like a 64-bit operating system, the absolute minimum is 8GB. Any lower than that doesn’t really allow for the operating system to work while also running a more demanding game. Planning for the long-term means that you should up your minimum to 16GB, and if you want to go a bit overboard now, 32GB is the way to go. This way, your capacity isn’t a component you’ll have to worry about upgrading for the newest game released. Overall, the best RAM for gaming will largely depend on each individual’s needs, but we feel that the previously discussed five can meet and even exceed substantial criteria for today’s gamers. 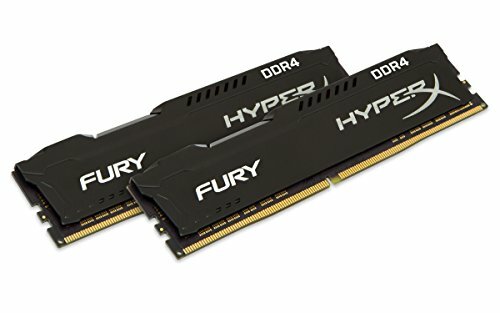 Why are these the best DDR RAM kits for Gaming? We didn't just randomly select a bunch of memory kits we like the look of and decide they are the best! We closely monitor the market and perform stacks of research, read multiple other review sites that we trust (see sources below) and read countless consumer reviews before doing any of our own testing. When tasked with selecting the best gaming RAM we performed research using sites we use and trust provide good honest, well informed.